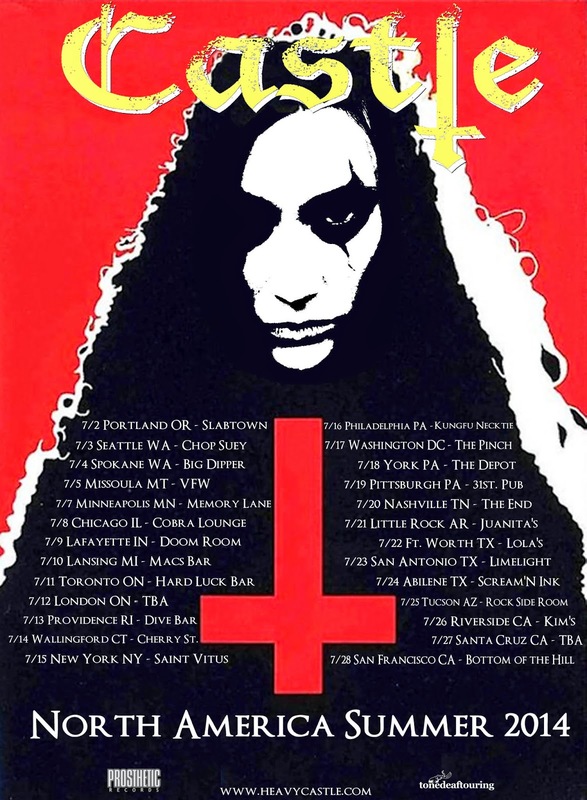 Following a successful headlining jaunt throughout the United States to kick off the touring cycle for new album "Under Siege," heavy metal/doom enthusiasts CASTLE have announced another month's worth of dates throughout the U.S. and Canada. The band, which features vocalist/bassist Elizabeth Blackwell and guitarist Mat Davis, will be rounded out by drummer Will Carroll (Death Angel) for the trek, which kicks off in Portland on July 2. A current listing of dates can be found below.